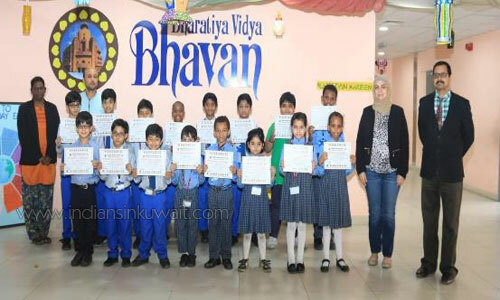 Bhavans Smart Indian School honored the winners of its Annual Holy Quran Recital in its premises on 5th June 2018. The source that stores greatest contemplation and rumination saw its recital recited from the mouths of our wondrous student reciters in all reverence, deference and approbation. 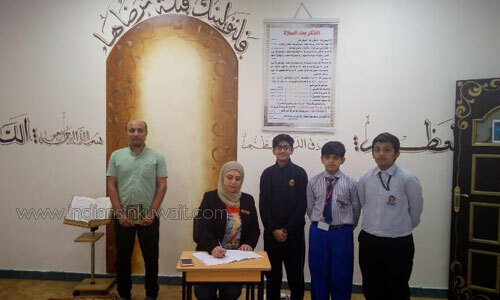 The competition took place in its own blest mosque which was graced by the Administrative Manager, Ms. Shaima Zaki who had also been seated as a judge to assess the stupendous students’ skill in their performance along with the faculties of Islamic and Arabic department – Mr. Waleed and Ms. Amira respectively. 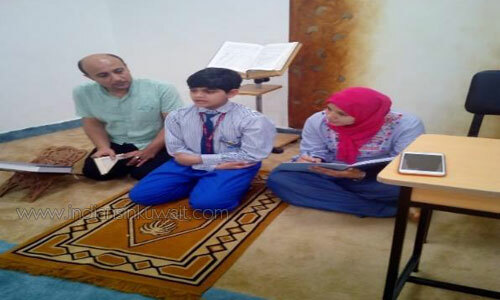 The preplanned recital and its execution were carried out solely on the occasion of the sacred Ramadan that is prevalently observed by all irrespective of age groups. The day saw thirty participants participating for the recital and the astounding winners of the day turned out to be twenty out of them. The proud and marvelous students of all grades starting from grade 1 to grade 9 showed their will-power and art of recital through this competition. The series of participants were verily showcased as the lollapalooza of the day for their art of scared approach, diligent recital and earnest involvement in the same. The students were congratulated by the judge and the department faculties for their outstanding output and wished them the best to be found in the coming days. The team thanked the school Principal, Mr. Mahesh Iyer for helping them see things shaped in all ways.